With almost 40 years combined experience,Goldschmidt|Shupe represents over 400 community associations and cooperatives of all sizes and demographics throughout Southern Arizona. Our small, dedicated staff is committed to efficient, effective and economical legal representation. Carolyn has practiced community association law in southern Arizona for 29 years. She specializes in covenant enforcement, construction defects, architectural control, assessment collection, transition from developer control, dispute resolution, counseling, and drafting and reviewing governing documents. She is certified as a real estate specialist by the State Bar of Arizona, and is a long-time member of the Community Associations Institute (CAI). Carolyn served on the Board of the Southern Arizona Chapter of CAI for more than 8 years, and is a Past President of the Chapter. She also is a member of the Arizona Association of Community Association Managers (AACM). Additionally, Carolyn has training and experience in alternative dispute resolution as a mediator and communication facilitator. 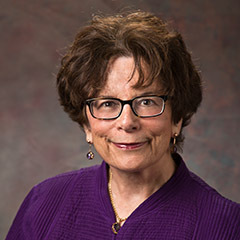 Carolyn has taught courses in community association law for CAI, AACM, the Hogan School of Real Estate, and Lorman Educational Services, and has lectured frequently on the subject for various other groups and community boards. She also hosted the program Legal Hotline: Community Law Edition on KNST-790-AM radio. Carolyn is a graduate of the University of Arizona James E. Rogers College of Law. Mike has been a licensed attorney for the past 7 years and has experience in a wide variety of community association and real estate issues including covenant enforcement, assessment collection, county and municipal zoning requirements, and easement and right-of-way disputes. He began working with Carolyn as a legal assistant while still an undergraduate at the University of Arizona. 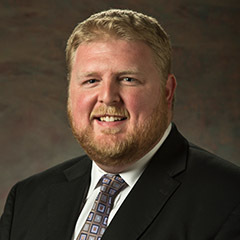 While working towards his juris doctorate at the University of Arizona James E. Rogers College of Law, Mike served as a law clerk at the Pima County Attorney's office, Civil Division, in Real Property, Land Use and Tax, and Bankruptcy Units. Mike is a member of the Community Associations Institute (CAI) and is currently serving on the Board of Directors of the Southern Arizona Chapter of CAI and is a recent past president. While not a native Tucsonan, Mike has lived here for more than 30 years and has deep ties to the community. He is a long-time season ticket holder for the University of Arizona football team and loves all things college football!